Google's Motorola deal: What exactly is Google buying? Google’s Motorola deal: What exactly is Google buying? As we reported earlier, in a surprise move today, Google has announced its intention to purchase Motorola Mobility, the handset manufacturing side of Motorola’s business. So, what is Motorola Mobility and what does the acquisition give Google? Following several years of huge losses and significant drops in market share, the Mobile Devices division of Motorola was spun out of Motorola as a separate company in January this year. Motorola Mobility Holdings, Inc. has of late focused its mobile handset business exclusively on the Android market. With the deal, Motorola will continue to operate as a separate business, but what exactly is Google buying? Motorola Mobility produces a range of Android-powered handsets including the high-end Droid and ATRIX brands and cheaper handsets like the Citrus and Flipout. Meanwhile, its Xoom is regarded as one of the best Android tablets on the market. In the US market, Motorola’s Droid brand of Android phones has had a significant impact, helping Motorola regain market share as well as giving Google’s OS a certain amount a ‘cool’ it was previously lacking via campaigns like Verizon’s ‘Droid Does‘, which has since expanded to cover devices from a range of manufacturers, but began with the original Motorola Droid. Google has its own ‘Nexus’ brand of phone, built by other manufacturers, which tend to be the first to sport the latest version of Android, along with hardware features Google particularly wants to push (see NFC in the Nexus S, for example). With this deal, Google now has the ability to build its own ‘Google Phones’ under the Nexus, Droid, or whatever other new brand it may choose – and it doesn’t need to deal with other manufacturers to do so. This cleans up a sticking point in the Android ecosystem, whereby Google would update its OS, only for other manufacturers to modify the user interface significantly, shattering any chance of a unified user experience across devices. While Google may have seen that as a benefit of Android at first, it leads to delays in OS updates to users as manufacturers have to rework their own skins and widgets to fit the new features. Now Google has the ability to push out significantly more ‘official Google phones’ that offer the company’s own vision of what Android should be. Google TV may not have got off to a strong start, but Google still has a real interest in making a play for the living room as it becomes Internet connected through set-top boxes. Being a strong service and advertising provider in this market is too big an opportunity for Google to pass up on. Having a set-top box manufacturer on board will help the company finely tune its hardware and software offering for Google TV – something it’s definitely lacked to date. It’s not just the TV either, Motorola Mobility’s current range of video-focused devices includes Televation, a service it sells to third-party companies. It streams live broadcast TV content to a wide range of devices in and around the home via a similarly branded app. 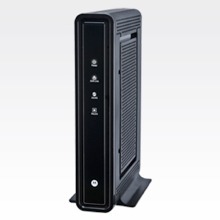 Motorola Mobility also produces broadband routers, networking equipment and hardware for digital security. While these may not be immediately a good fit with Google’s own operations, having a manufacturer of such devices on hand is certainly no bad thing. Probably the most important reason that Google is prepared to shell out $12.5bn for Motorola Mobility is that it has a significantly large patent portfolio helping to shield it against the growing threats Android faces from its rivals who look to increase the price manufacturers pay to release handsets using Google’s mobile OS, using patent licensing fees. Motorola Mobility has over 17,000 patents and 7,500 more pending, a huge boost to the ‘shield’ Android has against its rivals when it comes to lawsuits and countersuits. Google said on today’s conference call that the deal was about “Protecting and extending” Android. While the ‘extending’ part is important, the ‘protecting’ is essential. For more on the importance of the patents to today’s deal, see our analysis here. Lawsuits – A potential headache? Google also brings on board Motorola Mobility’s current lawsuits. 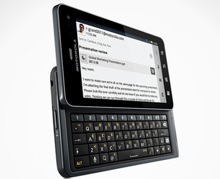 Apple is suing Motorola in Germany over the design of the Xoom, claiming that it is to similar to the iPad. Meanwhile, Microsoft and Motorola are embroiled in a legal battle over patents. If the Google deal goes through, such lawsuits will still be faced by Motorola (it remains a separate company after all) but Motorola could well benefit from the added weight of Google’s legal team.